Gearheads can be found in every corner of the planet. Every last one. From Chevrolet Opalas racing in the jungles of South America to the brutal off-roaders of the remote Russian forests, if vehicles are allowed, we can show you a gearhead somewhere. And that goes for the Middle East, too. I’ve seen roll racing in Kuwait personally. I’ve seen groups of people in Chevrolet Caprices (the rebadged Holden verison) and Mercury Grand Marquis out having a blast where the drivers think nobody is paying attention to them. And the exploits of the supercar crowds around Dubai are well known. But one of the wildest events we know of is the Liwa hillclimb that takes place at the Moreeb Dune in Liwa, about 150 miles south of Abu Dhabi in the United Arab Emirates. 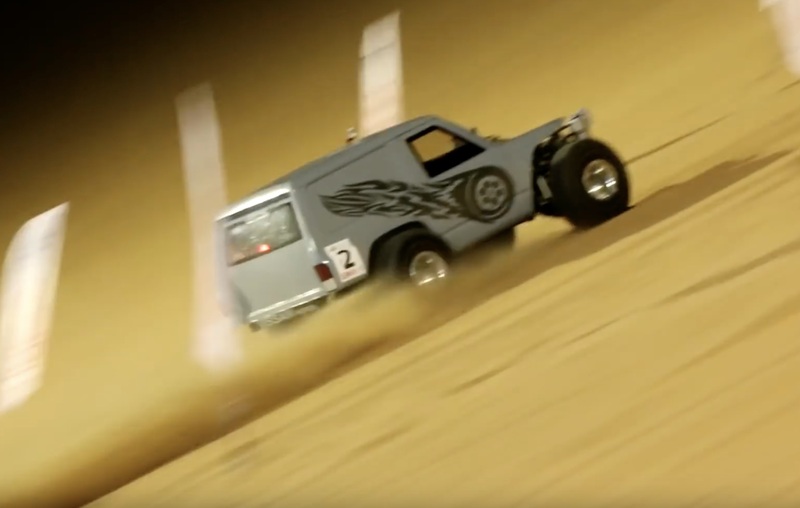 Rising almost a thousand feet off of the desert floor and sloped at a rumored fifty degrees, Moreeb Dune is a motorsports site where challengers bring out their best in the hopes of ripping up the sand wall. And we mean it when we say “hope”…you will see all types of engine powertrains give the hill a shot, from super-boosted six cylinders to LS engines tuned to within an inch of their relatively short life expectancy. We are talking about serious four and five-digit power levels and the genuine risk of nuclear-level engine explosions and bonkers, “Send It” style launches, especially in the anything-goes 2wd Hilux classes. It’s been about a decade since I was last in that region of the world, but I’d go cover this in half a second! NHRA Winternationals History: The Incredible Story Of Eddie Hill's 1989 Winternationals Um...Domo Arigato? Robotic Parking At Airports Is Becoming Reality! Fix your headline. It’s UAE, not UAW.